As I woke up to a mustard yellow sky this morning so this is a rather good day to write about food we could eat in an apocalypse. 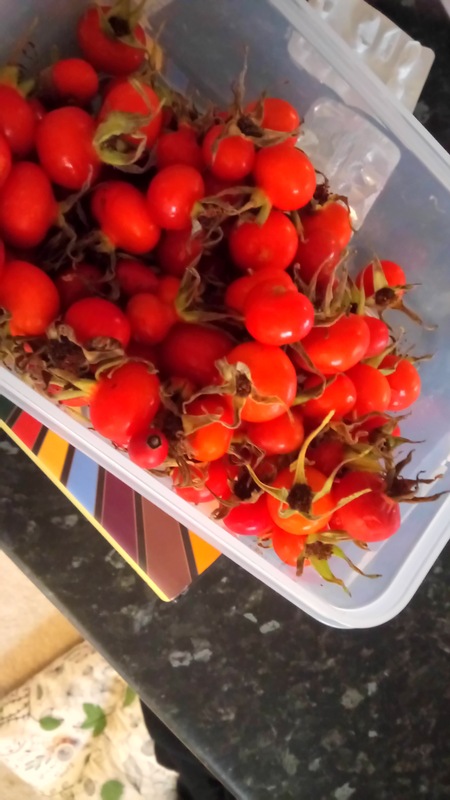 Yesterday I put on my foraging boots on and went out to grab some rose hips. Actually I managed to do it all in flats. I got 500g of hips no more than five minutes away from my front door. So what to do with my newly acquired hips? 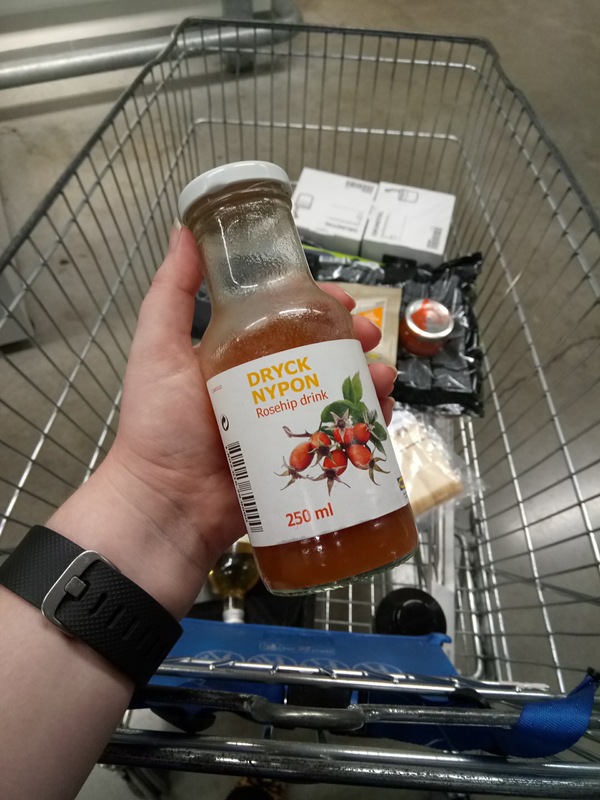 Well for that we’re going to go back in time to a trip to Ikea when I needed a post shopping pick me up and found a rather promising looking bottle of Rosehip Drink. As I was enjoying it I though about all of the rose hip recipes I haven’t tried yet. I thought that I would pick a bunch the first chance I got. Though I probably wouldn’t have bothered if it wasn’t for this prompt. 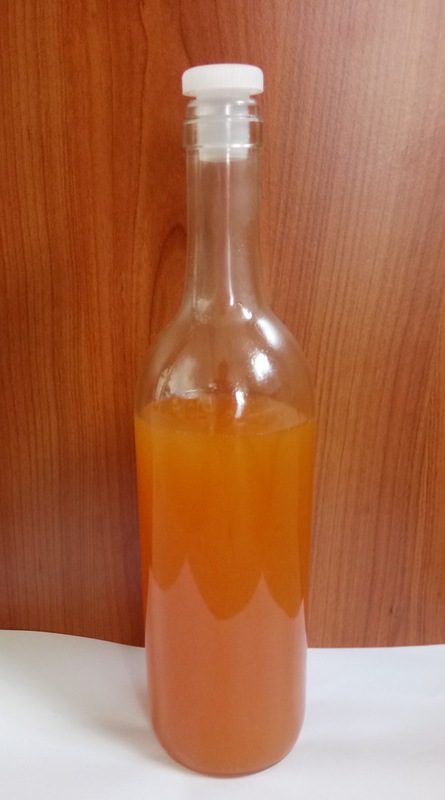 As I was forced into action by mofo I made rosehip cordial following this recipe. It’s yum. I’m planning on serving it with lemonade for bonus sugar.